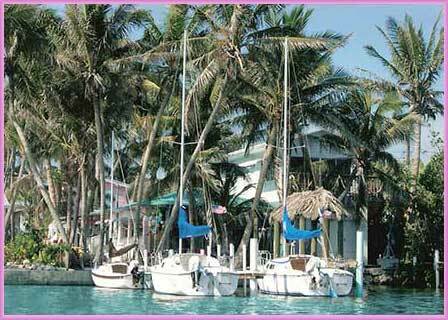 Our Florida Keys waterfront accommodation with a sailboat is an ideal place to stay for the experienced sailor. 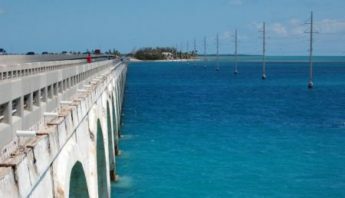 We offer a clean, comfortable, affordable vacation rental in the middle Florida Keys, 10 miles north of Marathon on Conch Key, mile marker 63. Our vacation rental units are ideal for couples that love to experience sailing in the Florida Keys or just exploring the fabulous Florida Keys. Conch Key is a small island with 50 homes. 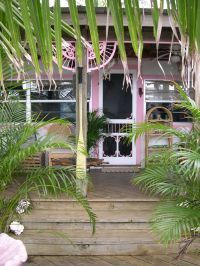 It is reminiscent of a tiny old Bahamian lobster fishing village, with colorful tropical painted houses and charmingly cluttered lobster traps, nets, and fishing gear. 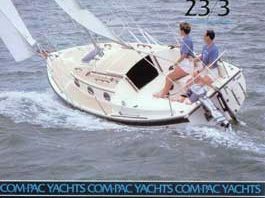 Our 23′ Com-Pac sailboat adventures on Florida Bay, near the Everglades National Park, provide our experienced sailors a chance to see dolphins, many species of wildbirds, fish, sponge gardens, mangrove islands, turtles, and (if you’re lucky), the occasional manatee!. 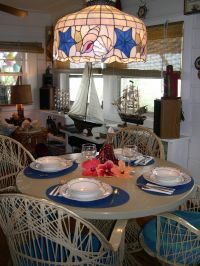 If sailing the Florida Keys is not for you, please come anyway and enjoy our tradional island home accommodations. 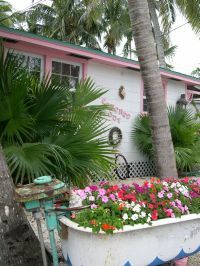 We offer 2 types of Florida Keys lodging. “CONCHED OUT” is our 2 bedroom house, each with a Queen size bed. This unit will accommodate 4 people. Our one bedroom “TREETOP COTTAGE” has a full size bed and will accommodate 2 people. There is also a futon sofa in the living room. Each rental has their own propane Barbecue grill, fully equipped kitchen, bed and bath linens, plus beach towels. Our ideal location, the middle Keys, will allow you to venture out in either direction. You can easily do a day trip to Key West or Everglades National Park. Key Largo is very famous for their John Pennecamp State Park which has beautiful patches of coral reefs. Sombrero Reef, off of Marathon, is also another great place to snorkel or scuba dive. Hawk’s Cay Resort, only 2 miles down the road, offers scuba divers reef trips, with equipment. There are also numerous dive shops available in the area. For you snorkelers, we offer a small selection of “complimentary” snorkel gear. Long Key State Park, which is 4 miles from our vacation rental units, is a great place for a walking tour of the old hammocks – the vegetation of the Florida Keys before development. There are lots of shorebirds, songbirds, and waterfowl; plus, many species of native palms and hardwoods. At this state park you can also rent canoes and explore the natural mangrove channels. 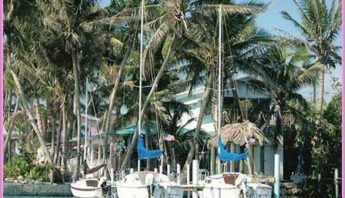 At our Florida Keys rental with sailboats, you have the use of our kayaks and bicycles – or just sit under the coconut trees with one of our good books from our library. Enjoy a Florida Keys romantic sunset from our dock, be sure to look for the “green flash”.